ADDIS ABABA – Egypt’s President Abdel Fattah El-Sisi has been elected as the Chairperson of the African Union for a two year period. El-Sisi takes over from Rwanda’s Paul Kagame. South Africa’s Cyril Ramaphosa is the first vice chair, representing southern Africa. 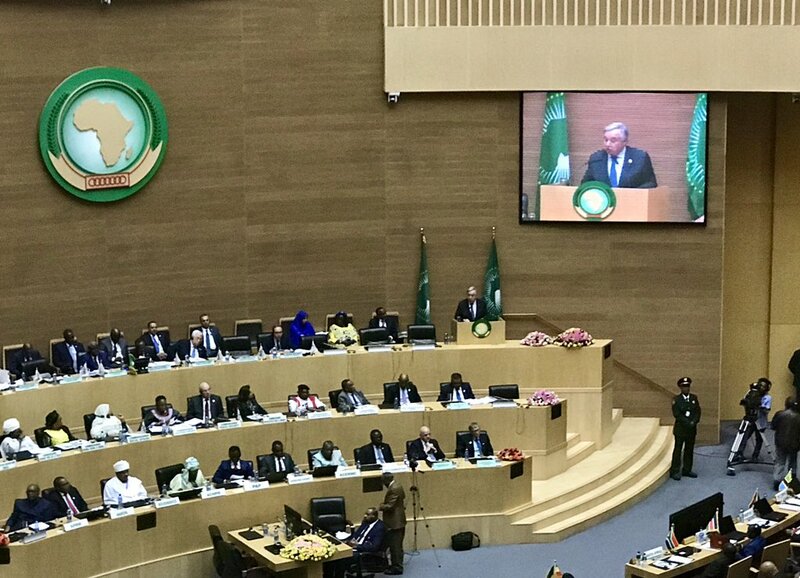 Earlier, the plenary was addressed by special guests; Bill Gates of Microsoft, Gianni Infantino of FIFA, Mahmoud Abbas of Palestine and Tedros Adhanom, the WHO president. In his handover speech, Rwanda’s Paul Kagame said there is the next wave of technology revolutions that will shape Africa, like Artificial Intelligence, Robotics, Big Data, and Cybersecurity, and that they are the future engines of productivity and prosperity for our youth.